Devil Pig : P500 N°1 Gift! 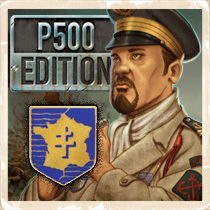 We had a little surprise planned for the validation of the P500, but as the targeted amount hasn’t been reached during the scheduled timeframe, we had decided not to announce it. 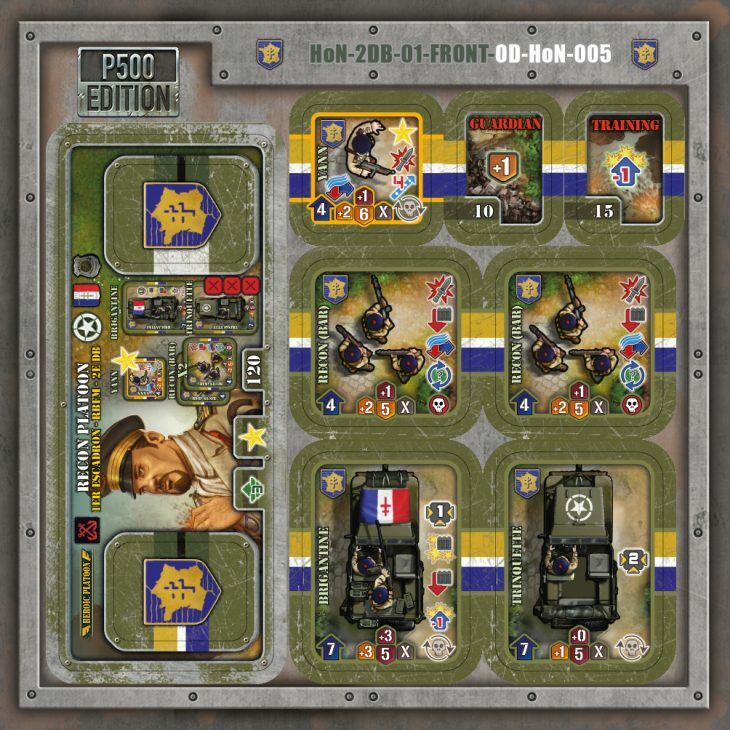 Since we now have reached this amount, we can finally present you with this new punchboard. It’ll be offered to the P500 participants, whichever order they placed. And to be honest, this makes Yann very happy since he’s waited for 4 years to see his character enter the Heroes of Normandie and Shadows over Normandie universe. The P500 closes on Monday, hurry up! 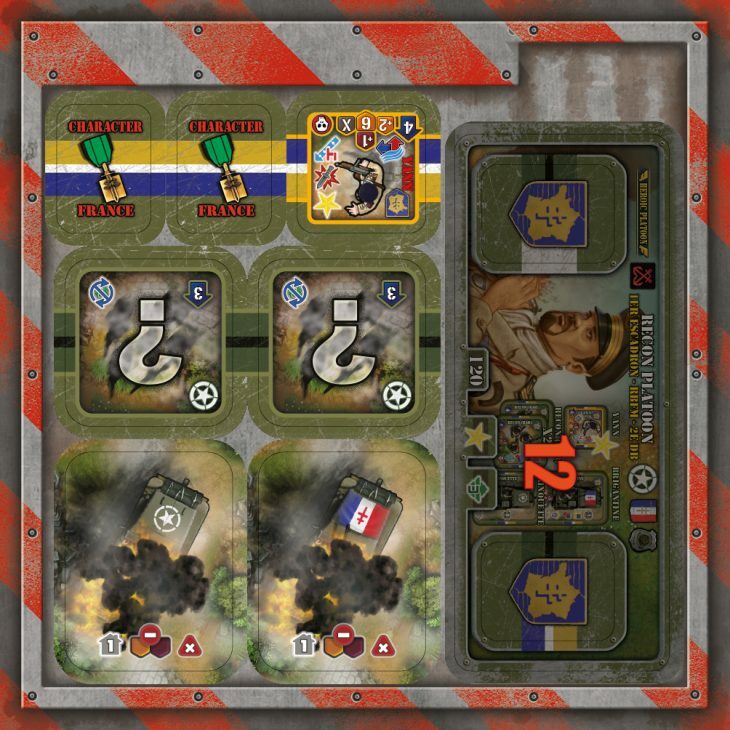 Par contre, sur la Jeep “Brigandine”, il faudrait soit intervertir le sens du drapeau ou celui de la croix de Lorraine, Cf l’insigne sur la planche de recrutement.